A change in ownership and more utilitarian design has amplified the popularity of the Ruger 10-22 among gun enthusiasts. Today, it finds a place as a go-to rifle for a wide variety of purposes thanks to its portability, low maintenance, cheap and easily accessible ammo, low recoil, and its effectiveness in game hunting. 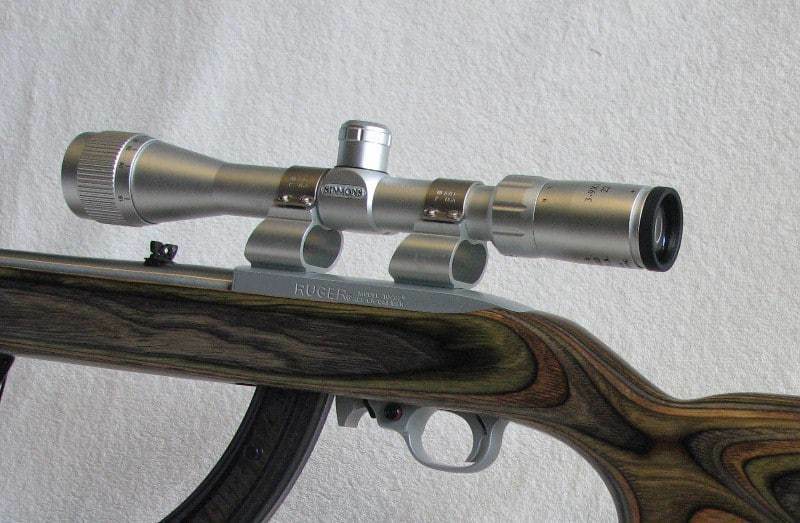 In this article, we are on the search for the best scope for Ruger 10/22. The 10/22 was first introduced in 1964, and since then millions have been sold. Adding a scope that fits your particular purpose is a popular upgrade that many take to increase the performance and fun of this versatile weapon. Normal scopes can interfere with your line of sight. 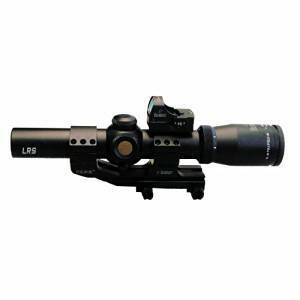 You have to find scopes that take you closer to the target while allowing you to see what you are going to shoot. That’s what we are going to check out today in our quest to find the best scope for the Ruger 10-22. The good news is there are many scope upgrades for the Ruger 10/22 that are available for a great price. While these scopes may not compete with the higher-end scopes, they are more than adequate for the range of uses for the typical 10/22. One of the caveats of using the Ruger 10-22 is that you can go overboard with the scope and end up buying a high priced one that might be overkill. All you need for the 10-22 is a mid-range scope that gives you a good reticle with BDC and all-weather usage. That’s precisely what you get with the Nikon P-Rimfire BDC 150 Riflescope. As expected from Nikon, this is a very good quality scope. It is not loaded with bells and whistles, but it does what it is supposed to do, very effectively. 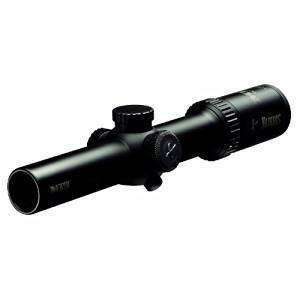 Out of the box, you are greeted with a sleek looking scope that has a polymer aluminum housing that is Nitrogen filled and O-ring sealed, making it fog proof and waterproof. At 11 inches in length and 13.9 ounces in weight, it is the perfect sized scope for the Ruger 10-22. At the forefront of the features is the trajectory-specific BDC 150 reticle which gives you an open circle while aiming up to 150 yards. While the reticle is calibrated mainly to work with hyper-velocity ammo, you can easily make a few adjustments to tailor it to work with other ammo too. To compensate for parallax, the Nikon features a 50-yard Parallax setting, and it retains Nikon’s signature multicoated optics which give enhanced visuals even in low light settings. Once again, this feature makes this a great game hunting scope, which is a common use for a 10-22. The eye relief is 3.8 inches which is more than sufficient for the Ruger 10-22 due to the low recoil. With 0.25 MOA or a quarter of an inch at 50 yards and a positive and responsive click that is designed for a tactical setup, you can zero in on the target fast and easy. Combine that with the BDC reticle, and you will be in great shape to hit your targets. Nikon’s zero-reset turrets are one of the best in the business. Despite being a mid-range riflescope, this feature is also in the P-Rimfire. For enhancing the BDC reticle, it is recommended that you buy the Spot-On app from Nikon. It will tell you the exact bullet drop to expect based on the type of ammo and the environmental conditions. A great feature for beginners as well as experienced shooters. Great magnification, generous eye-relief, and quick adjustments to ¼ MOA at 50 yards, there is nothing more that you’d want from your scope. The Nikon P-Rimfire BDC 150 is one of the best scopes for the Rugger 10-22. The Simmons 22 Mag Riflescope has long held the reputation of being America’s most popular Rimfire scope. With some swanky new additions from Simmons, it becomes a meatier and more powerful scope that is perfect even for big game hunting. Combined with the Ruger 10-22, it enhances the capability of the rifle by leaps and bounds. It boasts a bundle of features with fancy names like the QTA™ (Quick Target Acquisition) eyepiece and fully coated optics. But behind all the hype is a very practical scope that includes a set of mounting rings for the 10-22. All that you need to do is fit it, and you will be ready to fire. While aesthetics are the least of any shooter’s concerns, a good looking scope never hurt anyone. The Simmons 511039 3 – 9 x 32mm .22 Mag(R) looks stylish without compromising on the durability. It has a one-piece tube construction and is waterproof, fog proof, and shockproof. It is 12 inches in length and will add just 10 ounces to the weight of your rifle. 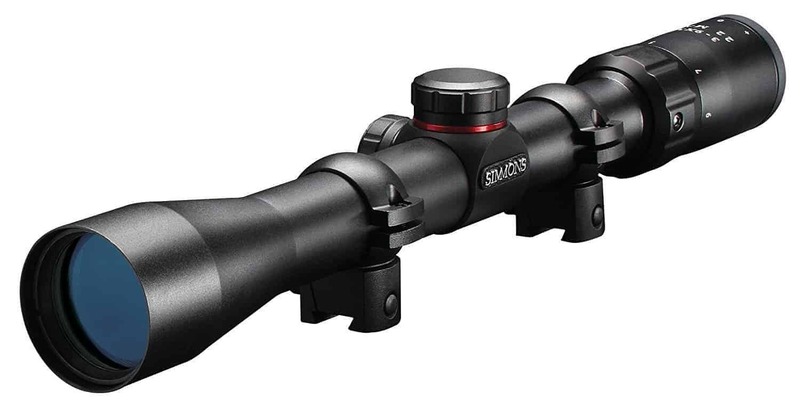 Simmons has always been one of the riflescopes that offers clear and sharp images even at dusk or dawn, thanks to the high-quality optical glass and the hydro shield exterior lens. The QTA eyepiece with the 3.75 inches of eye relief makes it a cinch to zero down on your targets while the preset parallax correction for up to 50 yards enhances precision even while shooting crosshair. Included in the package are Rimfire 3/8″ dovetail mounting rings which allow you to set up in seconds without any adjustments. With the 3x to 9x adjustable magnification with a slightly oversized zoom ring, you will find it ridiculously easy to dial in with the Simmons. Add the fast focus eyepiece with the Truplex reticle, and you have a complete winner on your hands. The windage and elevation adjustments knobs are intuitively placed but are not the most responsive while turning in ¼ MOA. This is a true-blue game hunting scope. At the same time, the visibility is perfect while shooting at rimfire range. At the price point, the Simmons 511039 22 Mag is a good quality rimfire hunting scope for the Rugger 10-22. It is very difficult to go wrong with this purchase. It is easy to be thrown off by the low price tag ( Check current price ) of the BSA Sweet 40mm riflescope. But this is a versatile scope that offers everything you need for the Ruger 10-22, without being too much. The BSA Sweet 40 mm scope includes a neat feature bundle though. It boasts of a trajectory specific calibration with quick-change turrets and excellent magnification, which translate into precise zooming with fast focus on the field. The Sweet 22 mag is a good looking scope made from an all-metal durable housing in an all-black anodized finish. It is waterproof, fog proof, and shockproof, turning your .22 into an all-weather gaming rifle. It does add 20 ounces to the weight of the rifle making it the heaviest scope for the 10-22 that we have reviewed so far. The fully coated optics provide clear and sharp visuals in all kinds of weather conditions and reduces glare while shooting in bright daylight. The 3-inch eye relief is a tad less than the Nikon and the Simmons. But the BSA Sweet costs less than half the Nikon. Windage and elevation knobs are positioned at your fingertips and can easily be altered. On the field, the Sweet 22 mag is fast. The quick-change turret system features three drums for the 36-, 38-, and 40-grain type bullets. So irrespective of the ammo, you can ensure that you can shoot at any one distance and then dial in the appropriate range. This is a first for the .22 rimfire rifles. The reticle adjusts to ¼ MOA at 50 yards, and it holds its zero, which makes this a very stable and reliable scope for the Ruger 10-22. The BSA Sweet .22 3-9 is hands down the most cost-effective choice you have for a riflescope for the Rugger 10-22. Yet, there is very little that it cannot do in the field. Great value! If you are just learning the ropes with the Rugger 10-22, spending more than $50 for a great quality scope may not be necessary. This Ruger 10/22 Black 4×30 Riflescope is a barebones scope for any beginner or someone looking for casual shooting for up to 100 yards. This is a cheap scope. As expected, there are a few tradeoffs. If you expect it to perform flawlessly over 150 yards, you’d be disappointed. But for its price, it offers perfect value. It includes two types of mounting rings, one for the takedown Rugger and the other for the standard one. This is designed to mimic the look and feel of a tactical scope. It has an all-black matte anodized finish that holds up surprisingly well on the field. A few bumps and knocks won’t do it any damage. It is reasonably compact too and fits the Ruger perfectly. Installation is ridiculously simple, and all that you need to do is bolt it on. 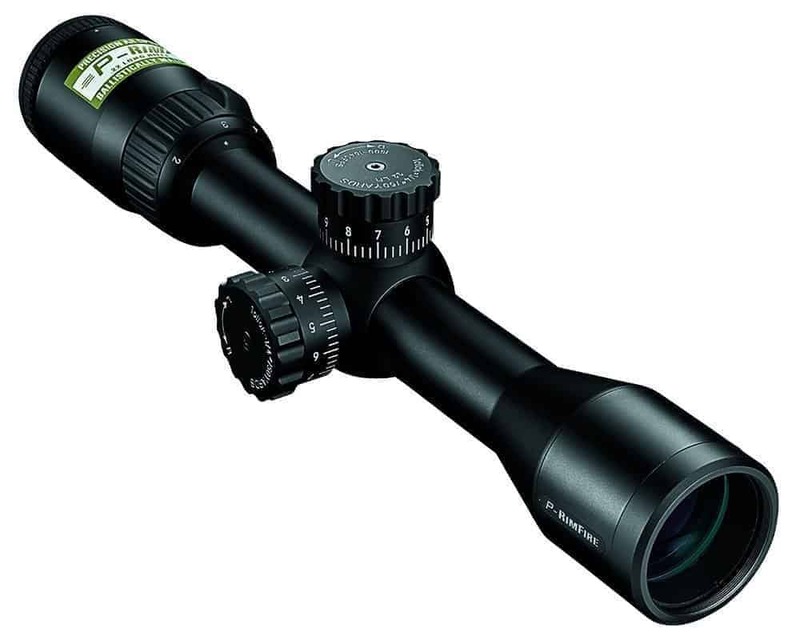 It is a 4×30 scope that offers 4x magnification. While this is not enough for all types of game hunting, it more than suffices for target shooting or practice. The Ruger 10/22 Black Blued scope allows you to zoom in fast and focus with reasonable accuracy. Combine it with stable hands on the rifle, and you should have zero problems hitting your targets. The MOA adjustments are very precise, and it holds its zero quite well. No complaints whatsoever. The scope is a tad shorter than conventional scopes for the 10-22, and you may have to move your head slightly forward to get a clear line of sight. That aside, this is a very decent scope that does what it advertises. You should be aware of what this scope can do and what it cannot before you buy it. You will have very little to complain. This offers good value for money. Tasco is reputed for its low-priced feature-rich scopes that offer unparalleled value for money. 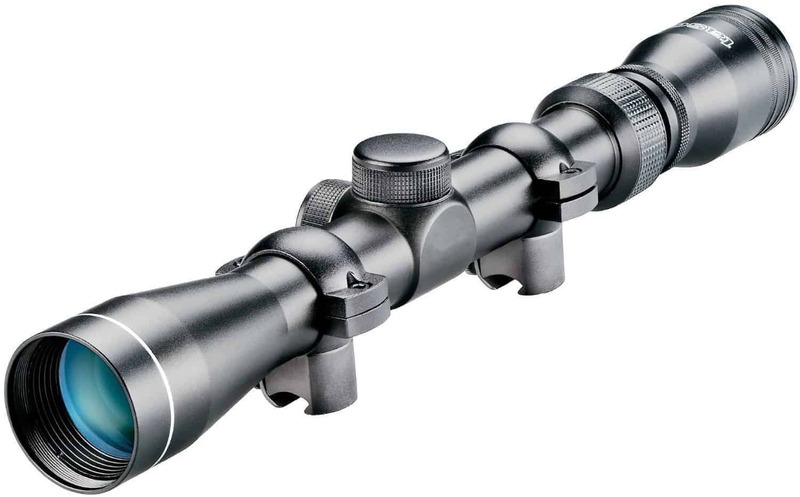 This is the 3-9x 32 mm Scope for the .22 mag from their popular rimfire series. Staying true to the brand name, this is a perfect do-it-all scope. It can be used for just about everything from garden range shooting to more advanced game hunting. Zeroes down fast, adjusts in a jiffy, and holds its zero even after two to three hundred rounds of shooting. At the price, it would be an injustice to demand more. This is a beautifully designed scope that has all the standard construction features that one would expect from a tactical scope. It has a matte anodized finish in all-black in a Monotube construction. The frame is a tough and durable metal alloy. While the package includes the standard rings to mount it on the rifle, you can always buy better quality rings if you find these to be a tad flimsy. The scope is a waterproof and fog proof. To top it all, it offers crisp and sharp visuals, thanks to the multi-layered lens coatings and fully coated optics. 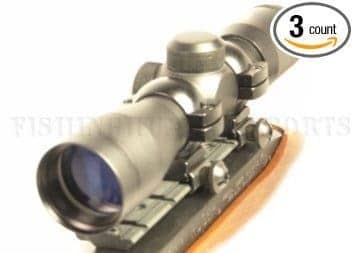 Not many scopes at this price point boast a 3-9x variable magnification. ( See full specs and features ) The Tasco Rimfire will let you zoom in with precision to your target. Adjusting the magnification is as easy as rotating a simple zoom dial. This increases the versatility of the scope making it perfect for everything from plinking to game hunting in the open. A 50-yard parallax preset further enhances the precision for close range target shooting. All in all, when you compare the features and the performance, you’d be hard-pressed to find a better deal for your Rugger 10-22. If you are looking for a great value, the Tasco Rimfire Series 3-9 x 32 mm should be on the top of your wish list. Feature packed to the brim and great pricing too. 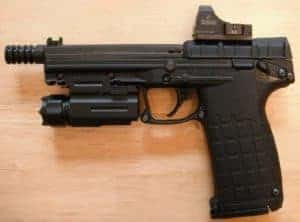 thesurvivalpodcast.com : Best scope for a Ruger 10-22? 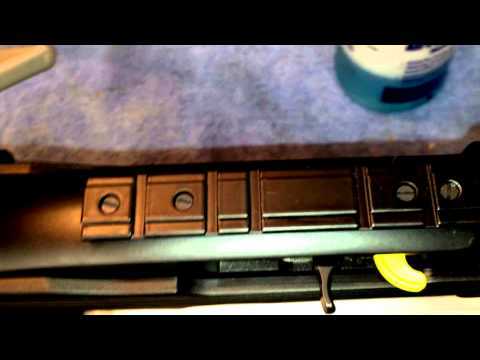 quora.com : What scope is best for a ruger 10/22? ar15.com : New 10/22, need a scope, suggestions? rugerforum.net : Best Optics for 10/22?